O n November 4th 2008 The United States of America elected its first Black President Barack Obama. 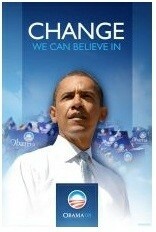 Many have attributed his win to a huge increase in the African American vote. 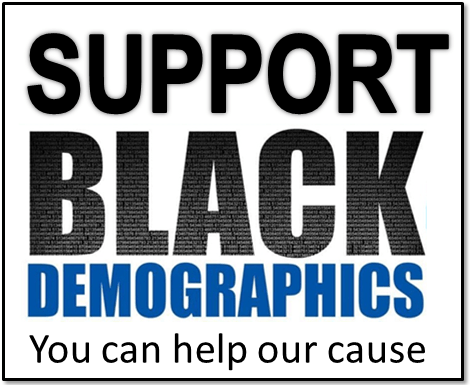 However, it took a shift of voting patterns in all demographics being that the Black population is only 13% of the nation. Actually the Black vote (which voted 95% for Obama) increased to 13% of the total vote, up from 11% four years earlier. 43% of whites voted for Obama up 2% from 2004. Hispanics 67% up 14% from 2004 and all others were up more than 10%. These changes combined to thrust Obama into the presidency. 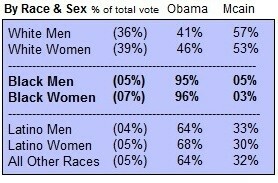 More Black women voted than Black men and they voted more for Obama by 1%.